You might be thinking "This girl only does inspiration posts! ", and I wouldn't blame you. With Fashion Week in full swing my eyes can't but shed a little tear for every great outfit I see. London Fashion Week is a particular favourite of mine, taking in consideration my obsession with everything British and the slight quirky attraction of mine for this city. (OK, I admit it! I love London). 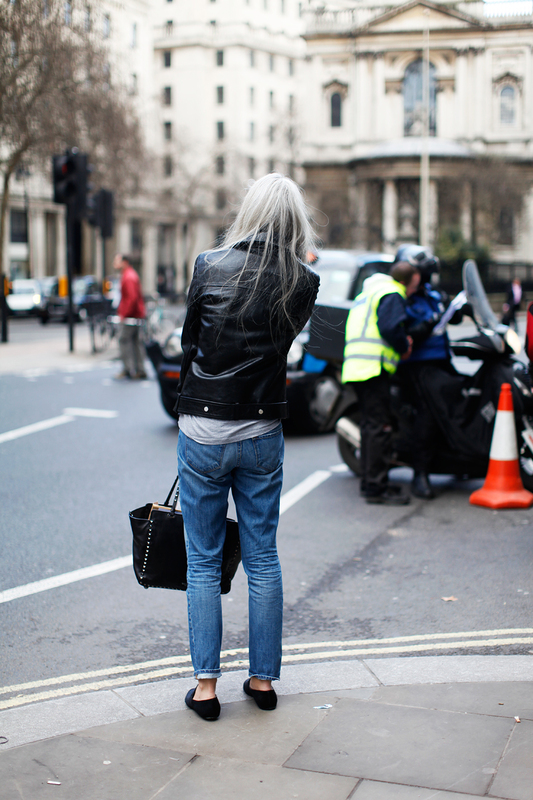 When I saw this picture on Stockholm Streetstyle my first thought was: "I want it ALL". This is basically my perfect outfit. So effortless, like you just got out of bed and threw on whatever was at hand. Add some heels and you've got yourself some edge. Anyway, just bear with me this inspiration post. I promise I'll soon add some diversity. try to stop fixating on certain outfits while regularly checking Stockholm Streetstyle like I have OCD.